That is quite a weirdly contorted tree! Quite a character! Awesome composition, perfect using B&W! Great, grand tree...wonderful in B&W! its look like a nose, its'n it?? 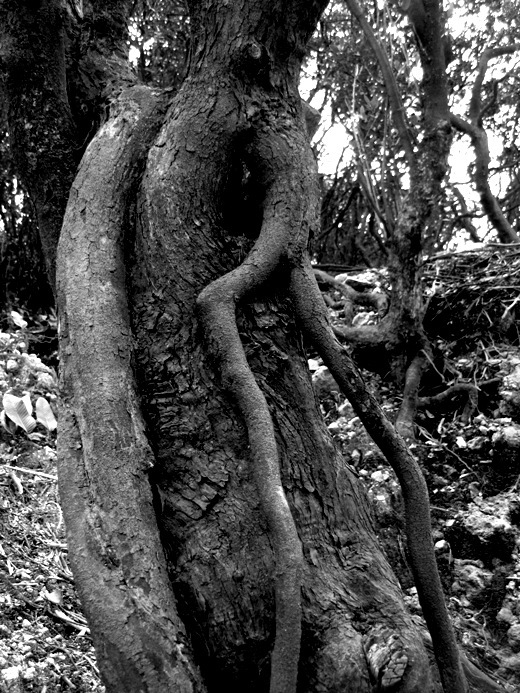 Or maybe a long-legged man climbing into the tree. Incredible shapes.